“Enter if you dare”, “Keep out” said the signs at the entrance…but our brave participants in fact dared to come in and opened the door to an afternoon of fun! Face painting, games and clown show – we had it all on November 1st 2014 for our Children’s Halloween Party at the Azerbaijan Center in cooperation with Houston-Baku Sister City Association! 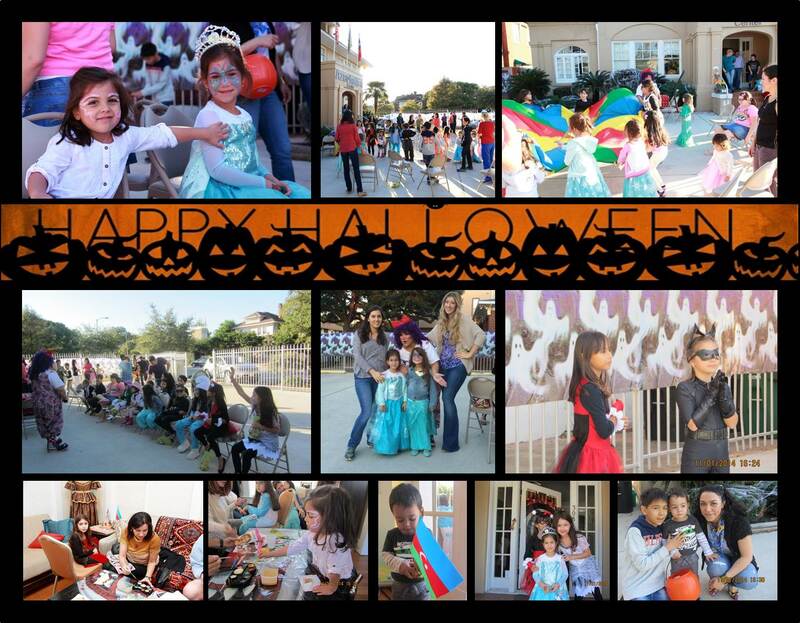 Smiling faces, dancing princesses and strong superheroes filled the front yard with joy! We would like to sincerely thank the volunteers of the organizing committee Narmin and Sofia for handling every step and taking the lead with the support of Saida, Arifa and Irana! Many thanks to all of you who helped in making this event memorable! As we always say, our community is only as strong as the people who are in it – YOU ARE THE KEY TO OUR SUCCESS! This entry was posted in Events and tagged Halloween by houstonbaku. Bookmark the permalink.